The precious pearl — adored by the world since the ancients — is June’s official birthstone. Today we’re featuring one of the most celebrated natural pearls, La Peregrina, whose history is steeped in both legend and lore. 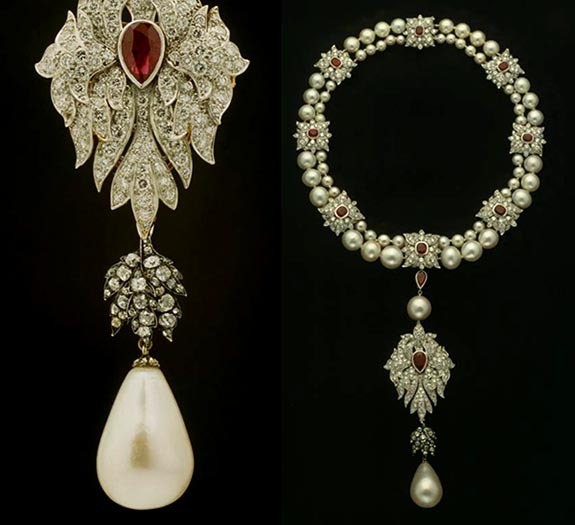 Meaning “pilgrim,” La Peregrina was considered a treasure for Spain, and has been called the largest, finest example of a teardrop-shape natural pearl, weighing in at 55.95 carats.